All of Sarawak’s dams would have withstood the 5.9-magnitude earthquake that struck Ra­­nau in Sabah and continued operating without a hitch. Sarawak Energy Bhd (SEB) chief executive Datuk Torstein Dale Sjot­veit gave this assurance at a press conference called to rebut allegations of safety risks raised by anti-dam activists and some Opposition members. “We would have operated through the earthquake – 100% no problem. I can guarantee you. A 5.9 would do nothing. “We won’t even stop the turbines,” he said in what was the second such press conference called by SEB as well as several statements issued since the earthquake. SEB currently operates the Ba­­tang Ai dam while the just completed Murum dam is coming online in stages. There is also the mega Bakun Dam, which is co-owned by the state and federal governments. 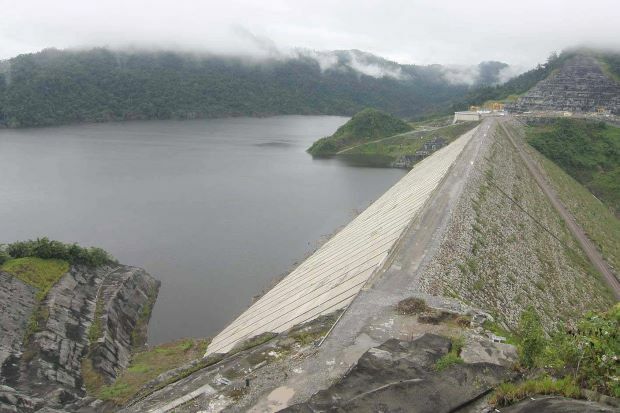 The Sarawak government had recently given the green light for two more dams – Balleh and Baram. The dams form the foundation of the Sarawak Corridor of Renewable Energy. Torstein said studies by the Minerals and Geoscience Depart­­ment, which had proven accurate in Sabah’s tremblor, predicted that the most intense earthquake that could hit most of Sarawak, including the hydropower region, was a 6.0. He said the “integrity” of Sara­wak’s dams would not be affected, “with an earthquake the intensity of 15 times higher than the maximum expected earthquake in the hydropower region”. There were currently 57,600 large dams in the world, added Torstein, not one of which had collapsed due to an earthquake since 1927. In the first place, no one would build a dam on an active fault line, he said, adding that the proposed Baram dam is 30km from an inactive fault line. Among non-governmental bodies that have urged the state government to reconsider its hydropower policy is Save Rivers Sarawak chairman Peter Kallang, and PKR state vice-chief and Batu Lintang assemblyman See Chee How. Critics have also asked SEB to release technical studies done on safety risks. The SEB chief said he was “happy to cooperate with anyone who was seriously interested in the facts”. “If the NGO and the Opposition are engaging with a serious third party, we’ll be happy to have them here and go through with them. “But they cannot just take bits and pieces and send these to some nonsense professor (who) can say anything. Some of them don’t care, they’ll say anything to stop hydropower,” said Torstein.